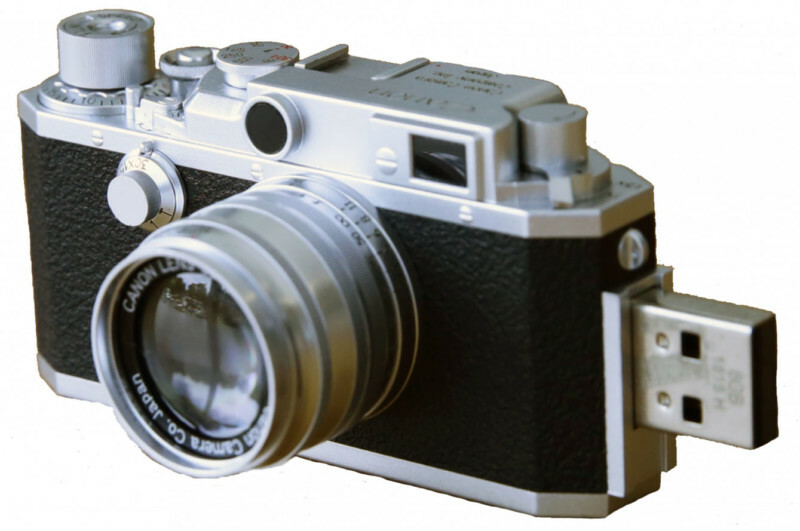 Want a beautiful USB drive to store or deliver some photos with? Check out this Canon USB flash drive. 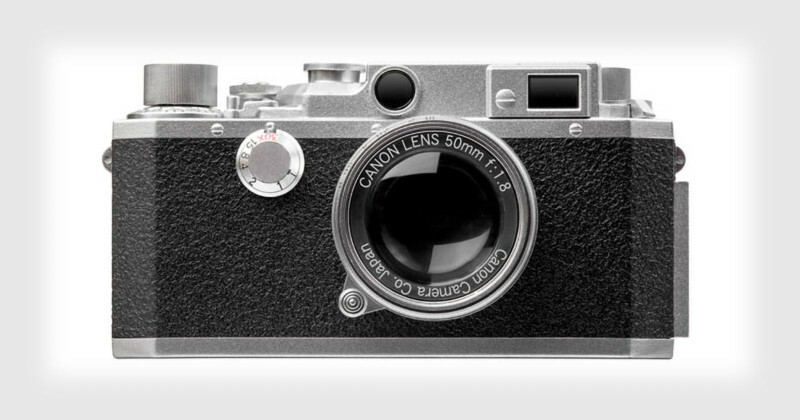 It’s designed to look like a miniature replica of the Canon IV SB rangefinder camera that was sold in the 1950s. 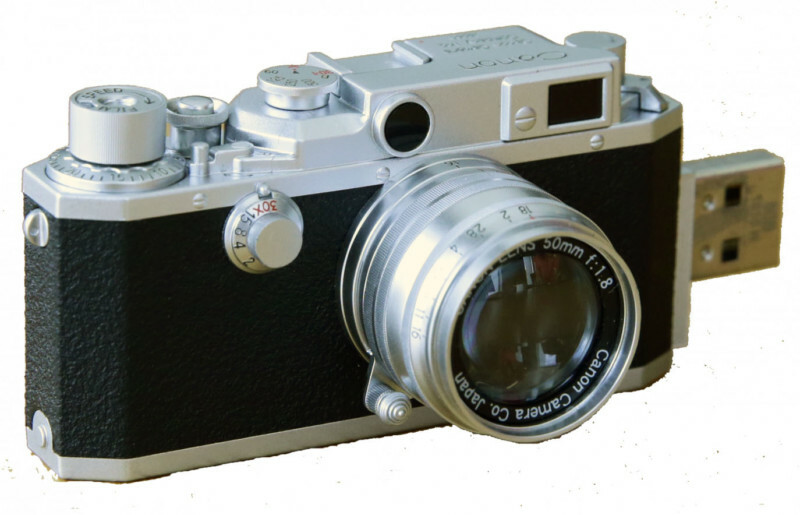 The Canon IV was a rangefinder camera series that was compatible with Leica screw mount lenses, produced in the early- and mid-1950s before being replaced by the Canon V series. 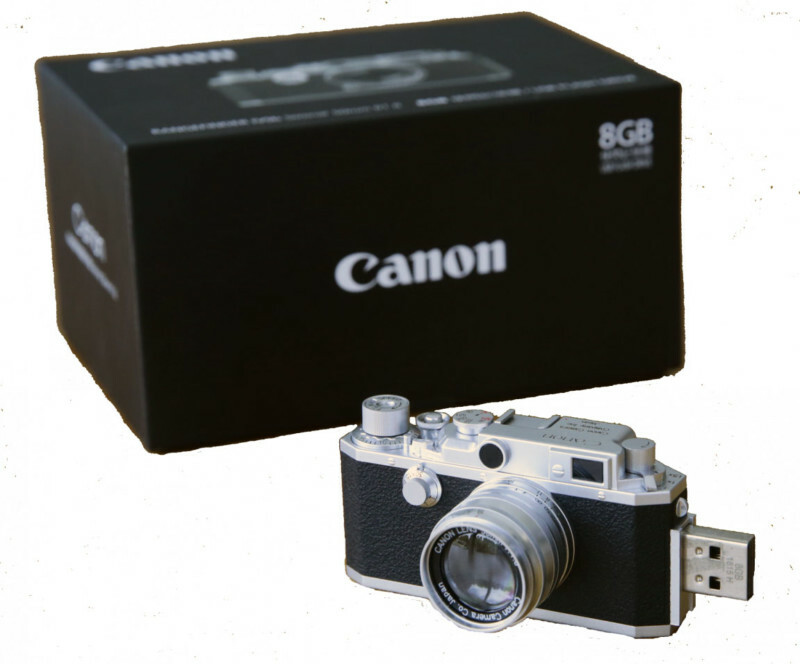 Canon’s new USB drive measures 2.8×1.4×1.4 inches and faithfully mimics the look of the classic camera – it’s made of metal and plastic and has 8GB of storage space. 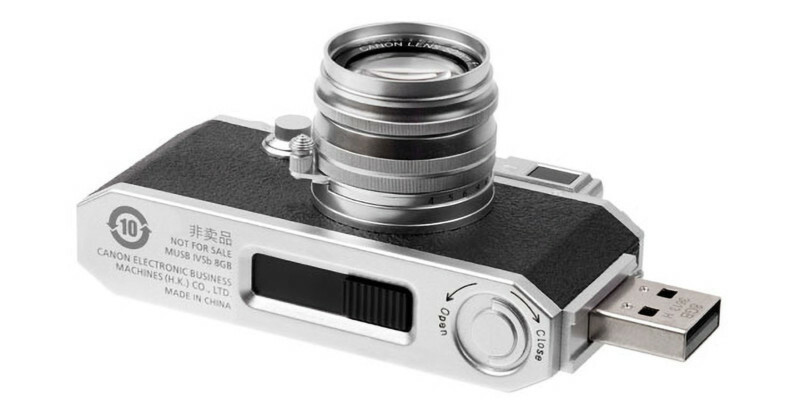 The USB connector is retractable and slides out the side of the camera, and the miniature lens on the front of the camera can also be removed for realism. Canon is selling this Canon IV USB drive exclusively through its online store for the hefty price of $80. P.S. There are also USB flash drives that look like the 5D Mark II and the 5DS.